Secure and adjustable 5 point harness that grows with your child. 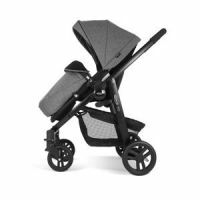 Graco Evo stroller is Lightweight compact chassis with compact fold, Fully padded reversible seat unit, forward or rear facing. 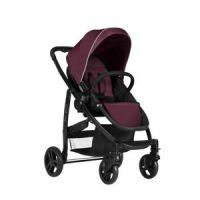 There is three positions recline to lie fat, adjustable calf support and useful large shopping basket for mums, lockable swivel wheels are the security guard for your child. Compact frame means easy storage both at home or in the boot of the car. Quality sturdy frame provides safety and comfort for your child. Graco's one-hand fold enables quick and easy folding whilst leaving one hand free to look after baby. Fabrics tested for toxicity, flammability and colour fastness. Comes complete with fully washable foot muff, seat liner and includes rain-cover. To Recieve updates and possible rewards for Graco Evo Stroller- Mineral Yellow please sign in. To Recieve updates and possible rewards for Strollers & Prams please sign in.